We can now offer you the opportunity to have your loved ones ashes scattered into space. 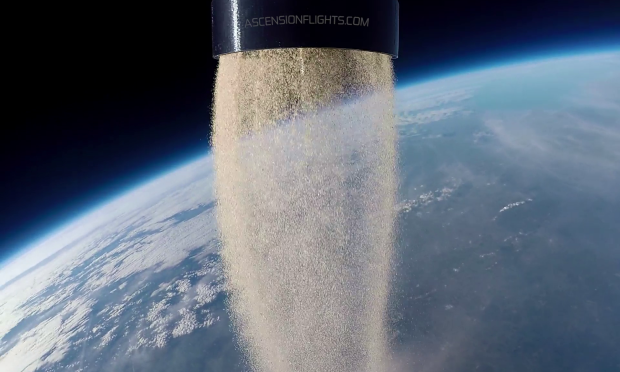 Ascension Flights is the premier space scattering service. Created by the world’s leading Near Space flight experts, our flight system carries the ashes to the edge of space and scatters them in a gentle cascade using our unique, purpose-designed scattering device. Carried around the world by stratospheric winds, they will circle through the heavens before finally returning to Earth in rainfall and snowflakes. The ascent and moment of release can even be captured on video and made into a beautiful memorial film for you to treasure and share. Contact us for more information or to arrange for your loved ones ashes to be scattered into space.